Alice Bag in an interview with the LA Times to talk about her new album. The Nickelodeon Theatre’s Programming Coordinator Amada Torruella talks West Coast Punk, music, and activism, intersectionality, and education with Punk Rock musician and feminist archivist Alice Bag. While I discovered legendary and visionary Punk filmmaker Penelope Spheeris through Wayne’s World (unquestionably her biggest mainstream hit), her debut The Decline of Western Civilization Part I (1978) astounded me. 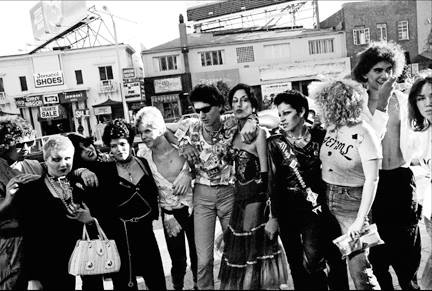 The film was raw yet intimate, offering unique access to the lives of punk musicians. The first time I saw the film I was in college working as a volunteer for a small punk/metal collective, frequenting shows where I interviewed concert-goers and hung out in mosh pits. The Decline of Western Civilization Part I introduced me to Germs, The Bags, and “We don’t need the English”. Throughout the years I’ve followed the career of bilingual musician and lead singer Alice Bag and have been inspired by her work. 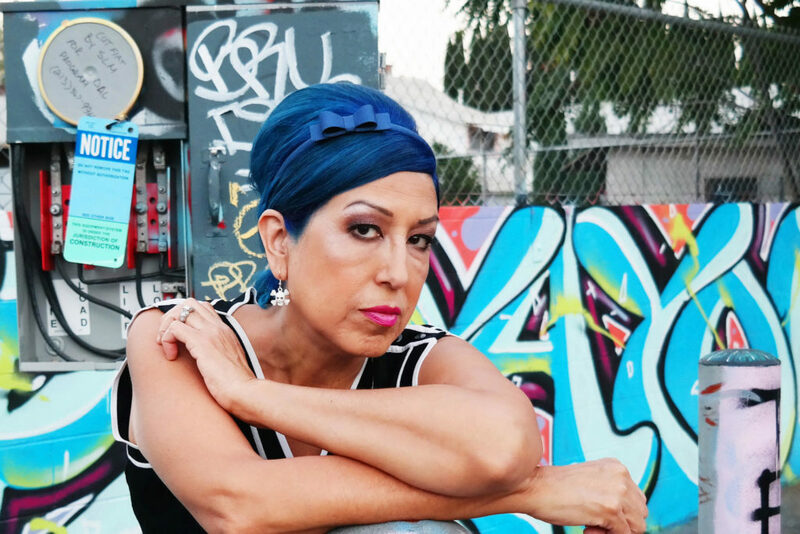 She remains a powerful artistic voice and works tirelessly with immigrant and Latino communities in Los Angeles. I recently reached out to Alice Bag for brief chat about her her influences, her thoughts on social justice, and her new focus on songwriting. In an interview from 2015, you mentioned not liking The Decline of Western Civilization at first and even walking out of the premiere. However, over time, you state you came to understand the film’s value, why is this documentary still essential viewing in today’s world? What would you say to Punk youth/newcomers to Punk, who are seeing it for the first time? For many people, The Decline is an introduction to West Coast Punk and although the film only captured traces of the original Hollywood scene, it did chronicle the emerging hard-core punk sound and attitude that was just getting underway at the time. For a few people, seeing bands like the Alice Bag Band or Catholic Discipline gave them a hint that there were also queers and POC in the scene, even if that is not obvious unless you research the bands. Excerpt of Decline of Western Civilization Part I of Alice Bag Band performing ‘Gluttony’. Women like you laid the foundation so that arts movements could become intersectional. Were there other women of color who influenced you? Whose work do you feel connected to? Truthfully, I didn’t set out to represent, I just wanted my voice to be heard and the circumstances were right for that to occur. Punk valued innovation and diversity, so people who had not been heard before found an attentive audience. I grew up listening to women of color because two of my major influences are rancheras and soul music. Lola Beltran and Lucha Villa were often played alongside Bessie Smith, Freda Payne and Betty Wright. I wish I’d heard of Chavela Vargas growing up but I didn’t learn of her existence until much later, she is by far my favorite ranchera singer. I also learned of the all female group Fanny when I was a teenager. The founders of that band were Filipina sisters: June and Jean Millington on guitar and bass respectively. Those women are so important to the history of women in rock and so often overlooked. In a recent interview with Noisey, you talk about the use of music as a tool for protest. Why is art such an essential way of demonstrating? Do you think it’s necessary to connect activism and music? Can using arts in times of turbulence lead to healing? Music and the arts in general can throw light on subjects and help change attitudes. A song can be a rallying cry, a call to arms or a call to disarm. A song can bring people together, to dance, to share in convivencia, providing opportunities for shared experiences. A peaceful world is one in which people get to know each other and music can provide a background for that. I have always admired your experience in the classroom as an elementary bilingual teacher and I’m sure your career inspires many to work in arts and education. Why is it fundamental to empower youth and educate them through film and music in today’s landscape? Do you have any advice for artists trying to do more work in education? Change happens because the dreams and ideas of previous generations coalesce into action. Progress is when the positive change is sustained and supported by present and future generations. We have a responsibility, not just to our children but to ourselves to educate our youth with more complete and diverse historical accounts, to instruct them on techniques for successful dialogue, to provide opportunities where they can exercise critical thinking skills and to teach them to access their own power. For artists who are interested in doing more work in education I say volunteer, you will walk away enriched by the experience. You previously mentioned you are currently hard at work in the studio, tell us a little about your new project and the inspiration behind it? I am constantly writing songs. The practice is intrinsically satisfying for me. I lose my connection to time and space and throw myself completely into the songwriting process. For me, songwriting can be a place to work out unresolved ideas or to vent frustration at things that are happening in society or government. Right now I have plenty of inspiration! The Decline of Western Civilization Part I plays at the Nickelodeon on Saturday October 21 in “Sound & Vision” with a special live performance by fk mt.